It’s at this time of year that we all start noticing how quickly the evenings draw in, and how its no longer light when we get up in the morning. For the most of us, Gee and I included, we find it harder to keep getting outside on weekdays. So what can you do to take your mind off work that doesn’t included binge watching Netflix? Okay, not everyone will want to or be able to build a climbing wall in their garage, but spending winter 2017 doing just this got me outside a lot. You could build a tree-house or garden furniture, or even something for inside but having a project to work on was a great way to keep active. Thinking about the project on my commute home meant I often knew what I needed to do when i got back, which also helped to stop me focusing on my work when I wasn’t meant to be. 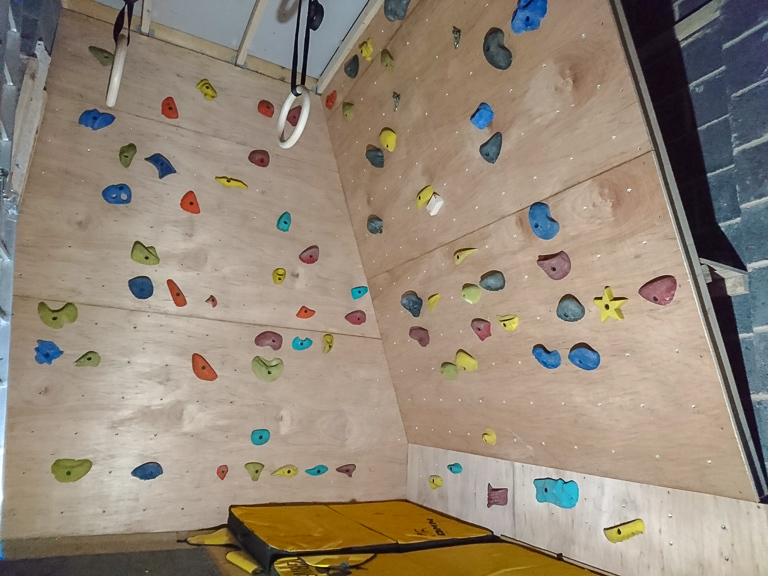 Shortly after completing the purchase of our house, we started fitting a bouldering wall in our garage. 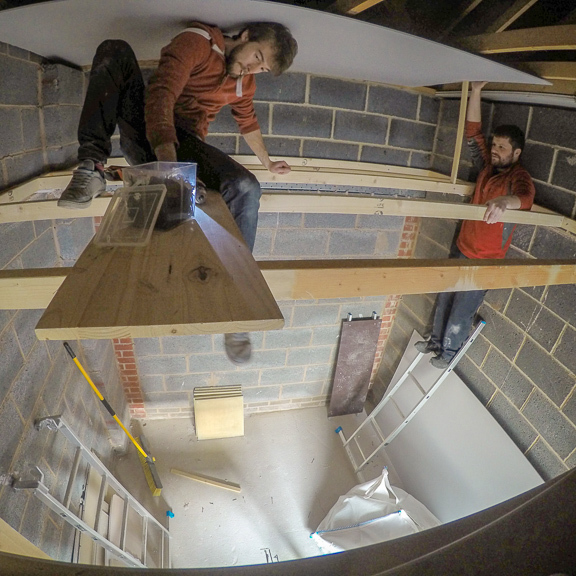 Measuring just 3.0 x 2.5 x 2.2 m (HxWxD) we’ve packed in 2 slab walls, a 20 degree overhang, a roof, beastmaker and hanging rings. All in the back of our small garage! The front half remains as the workshop area, for all the other projects i’ve got going on. I spent the majority of winter 2017 working out in the garage, in the freezing cold and late at night. Our neighbours quickly began to think that we were mad, but now know that we just like getting stuff done, as well as being mad. We’ve subsequently helped out on a number of their un-started projects which has been great in getting to know them and spending time together. If you’re interested in doing your own wall, we’re developing some guidelines that’ll be available in the projects section of our website. Gee and I recently enrolled on an aerial hoop course at our local pole fitness training space. 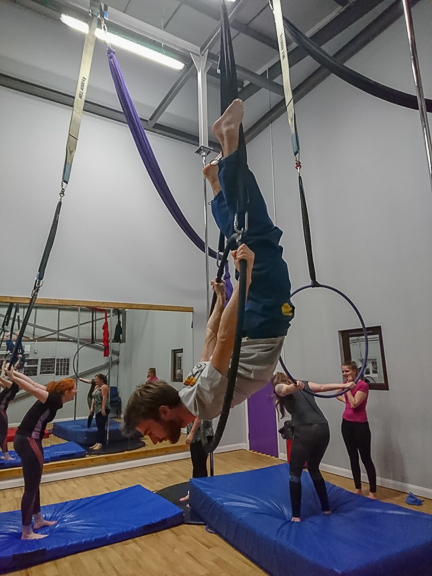 Sports like hoop/silks/pole usually engage a whole variety of muscles and you can come away feeling like you’ve had a good work out. 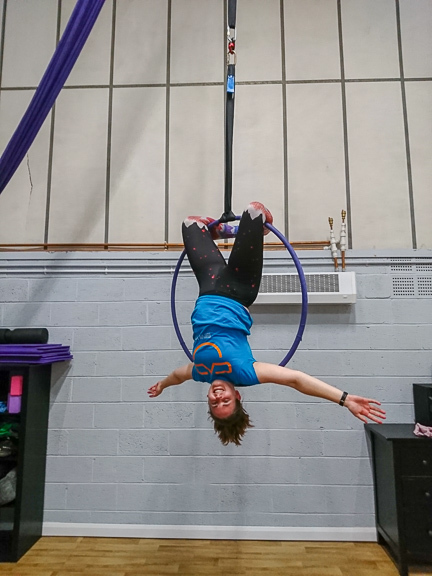 We decided on the aerial hoop as we both really enjoy circus skills, and thought that the strength developed through these sessions would compliment our climbing strength. Its definitely helped having climbing strength, but the others in our class that don’t are still supported really well by the instructor. We both find that the stresses of everyday work can get you down, especially over winter. Doing just 30 minutes of exercise after work can swap this mental tiredness to physical tiredness, that comes with the added benefit of satisfaction that you’ve done something! We’ve recently started playing squash after work. We’re not playing seriously, we’re just getting tired hitting a small rubber ball at a wall but we’re having a great laugh doing it. We hope to start rotate this round to include badminton too. We are also climbers. 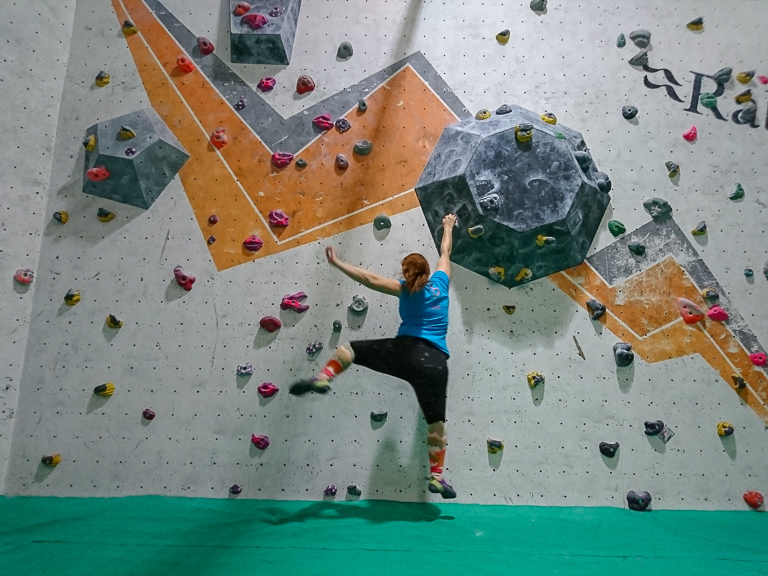 Climbing gyms have been popping up all over the country in the last few years and it’s great to see a new wave of interest in the sport. 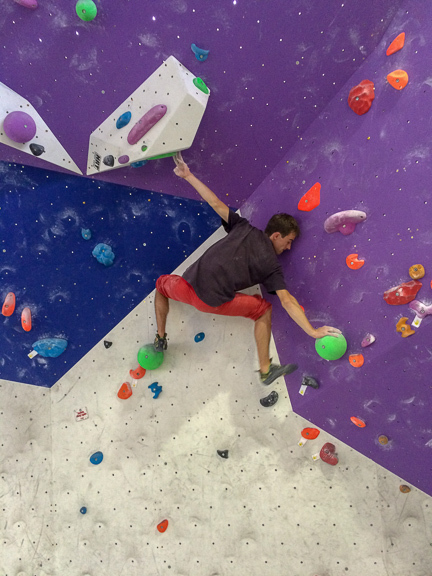 There are many articles on the benefit of sport in general, but recently this article focused on climbing. – Arriving a bit earlier and finding a route to walk before work. I recently saw a phrase that made me laugh: “I go for a run in the morning because then I know my day can’t get any worse”. It made me think about the ‘high feeling’ that you ride for most of the day when you get up early and do some exercise while everyone else in your workplace was still in bed! It’s a great feeling, you just have to ensure your energy levels don’t taper off in the afternoon! So you’re unlikely to be able to get outside every day – sometimes you do just need to sit and relax, or the weather is bad. What do you do? We’ve got numerous options here and we alternate between them to keep a good balance. Firstly, we do have a Netflix account… We do watch series and films, but just not very many of them. We’ve also got a whole collection of outdoor related films that we can watch. 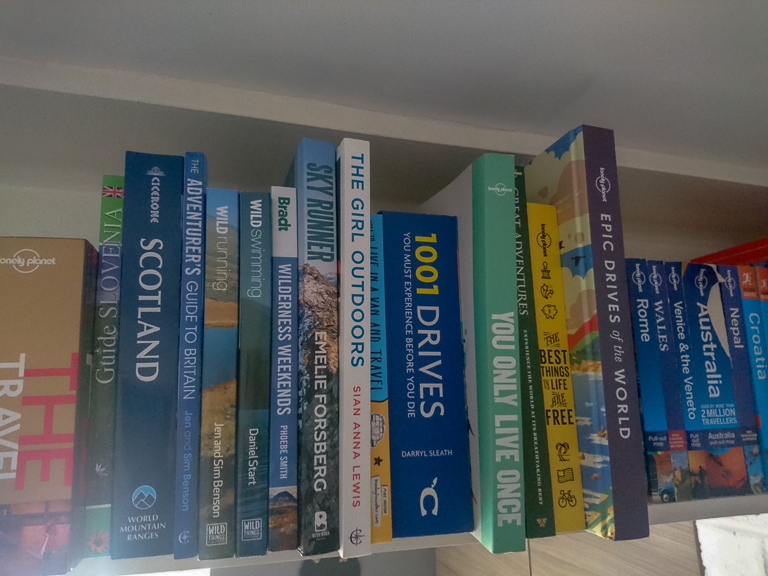 These really help to motivate us, as do books, magazines and online articles about people doing extraordinary things. And by extraordinary, I don’t necessarily mean pushing the limits of human ability, more pushing their own limits – it’s this that really matters. If you’re working a full time job like us, then its verging impossible to do what the professionals do. It’s only possible for us to train for a limited number of hours around work, and still be able to function in work! 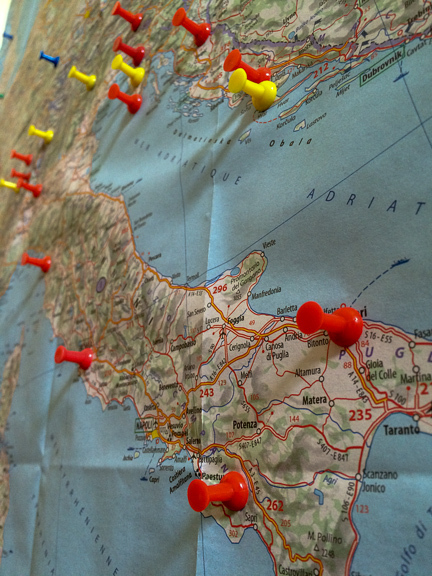 We also spend a lot of time finding new destinations, planning future trips or plotting routes to run, walk or ride. We research through guide books, websites, getting into communication with locals to that destination and collate all the information. I really enjoy this aspect of a trip, and we quite often do it over the winter when we’re not getting out as much. Some of the larger challenges on these trips often motivate us to get outside in the elements and train for the trip.